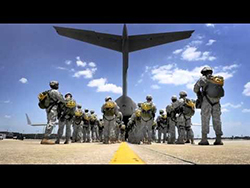 The US Army Airborne School, located at Ft. Benning, Georgia, is available through Army ROTC to students that are enrolled in our program. 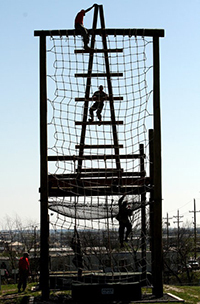 The course is three weeks long, consisting of a ground week, tower week and jump week. Each week covers different topics, or points of performance, designed to teach you how to jump out of airplanes. It is an exciting non-stop course that will push you to the limit. 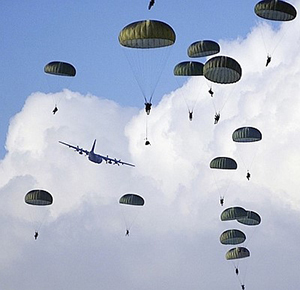 After making five parachute jumps, you will be awarded the U.S. Army Parachutist Badge. Air Assault School is a school for those students who enjoy rappelling and an adrenaline rush! 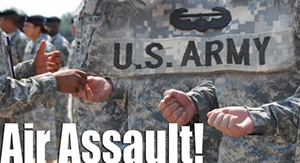 This 10 day course is conducted at Fort Campbell, Kentucky or Fort Benning, Georgia. 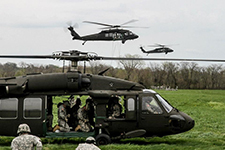 The main focus of this school is the transporting of Soldiers or equipment with the use of helicopters or other rotary-wing aircraft. For the students who qualify and pass this school, they will have gained experience in working with helicopters, as well as the privilege to wear the U.S. Army Air Assault Badge on their uniform. The school is broken into three phases. 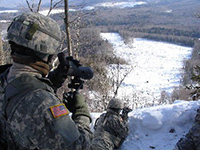 The first covers conducting air assault operations; the second covers sling loading equipment to helicopters; and the third instructs the student on all aspects of rappelling. If you have any more questions about the school, please contact your Military Science Professor. For ROTC Students, CULP is a program that allows the world to be their classroom! 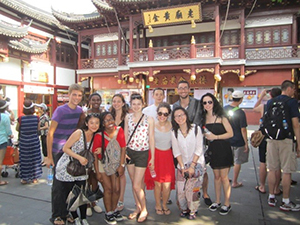 CULP provides the students with many opportunities to travel abroad in more than 40 countries to learn about other cultures. Students will be immersed in the cultures, learning about how others around the world view the U.S. During their studies, students will experience one to three different settings, including humanitarian services, host nation military-to-military interactions and education on the social, cultural and historical aspects of the country. This immersion into different countries is to hopefully expose students to the successes and struggles that those countries have had to face, and in the process, learn more about themselves. The Cadet Troop Leader Training track provides Cadets the opportunity to experience leadership in Army Table of Organization and equipment units over a three to four week period. Cadets serve in lieutenant-level leadership position in active-duty units. 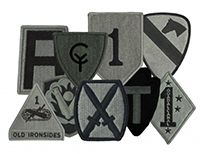 Platoon Leader positions have a 3-4 week duration depending on the hosting unit and location. Assignments include units that are located CONUS and OCONUS. Cadets are assigned a unit mentor, and are provided on-post lodging and meals via a Dining Facility. This program is exclusively designed for third-year Cadets before and after completion of LDAC. 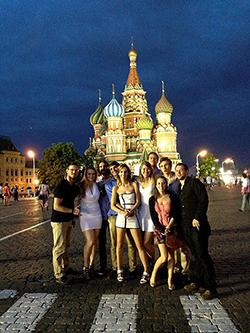 Project GO (Global Officers) is a program aimed at improving language skills, regional abilities, and intercultural communication skills of future leaders. It promotes humbling language education, study abroad, and intercultural dialogue opportunities for ROTC students, whether or not the student is planning to make a commitment to ROTC. It also provides institutional grants to 25 U.S. universities across the country, including five of the six Senior Military Colleges. 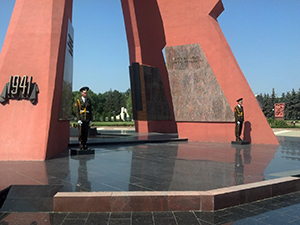 Project GO facilitates collective efforts among universities and ROTC leadership. 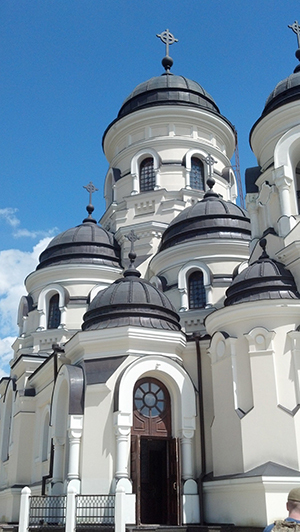 The program focuses exclusively on the languages and countries of the Middle East, Asia, Central Asia, and Africa.